An Introduction to the Devout Life. The person intent upon gaining Heaven should first resort to a competent guide to reach that Goal of all goals. 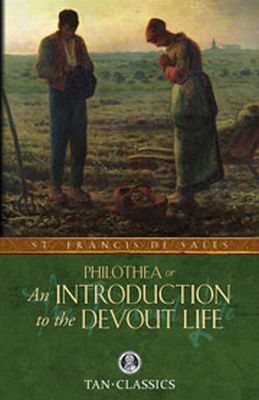 And no better guide exists than this Catholic book by St. Francis de Sales, a Doctor of the Church. Easy to read, being laid out in short chapters, yet it is thorough, authoritative, reliable, kind and gentle - a mirror of its author. A book to be read again and again, and to make your guide for the rest of your life!